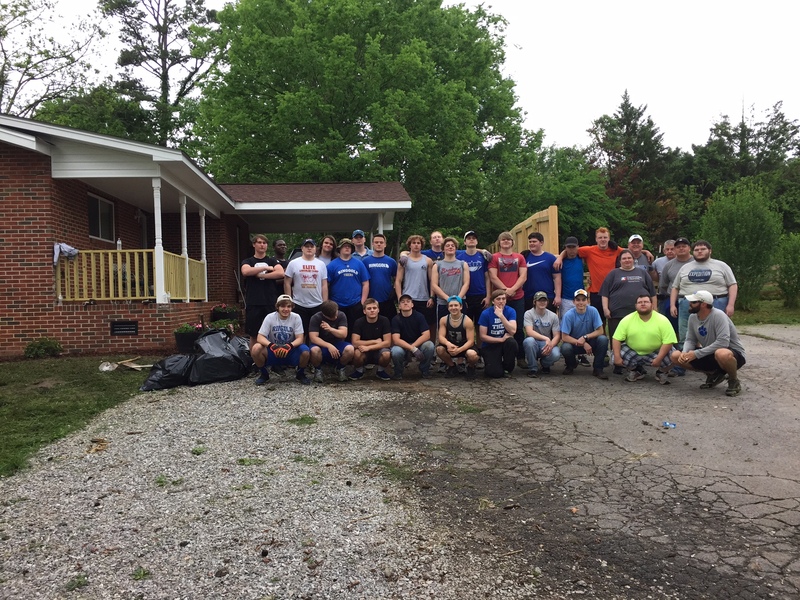 On September 23rd, over fifteen volunteers from the local Church of Jesus Christ of Latter-Day Saints came out to help with a community clean-up project in the Habitat for Humanity subdivision located in Catoosa County. The volunteers, made up of congregants and missionaries, helped do a variety of projects to help Habitat for Humanity homeowners. Some of the work accomplished on that day included cutting down three trees, pressure washing of homes, and performing general yard work. “It’s great to have this many people out here to help me.” said one Habitat homeowner. “Without the help I got today it would have taken me months to clean up everything.” In addition to the yard work, volunteers also helped clear off the side of the road leading into the subdivision, helping to prepare for resurfacing of the road. Several volunteers brought their own equipment to help with the projects such as pressure washers, lawn mowers, chain saws, and hedge trimmers. Lunch for the volunteers was provided by Krystal of Ringgold. “Habitat wants to extend a big thank you to Krystal for their donation of food today and for helping to feed our volunteers.” said Penny Mahon, Habitat for Humanity of Catoosa County’s Executive Director.